There are some movie trailers that make you as giddy as a schoolgirl who just got hug-raped by One Direction...and then there's this. 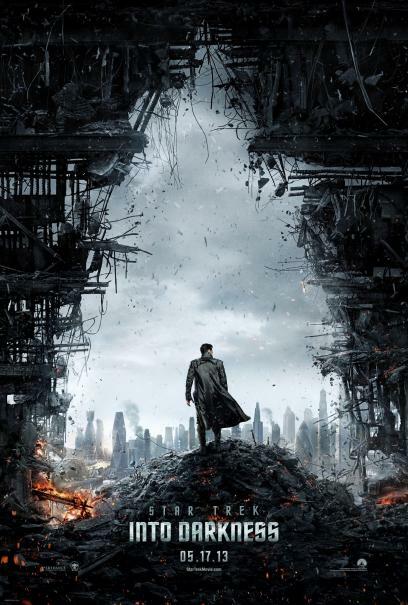 J.J. Abrams's Star Trek Into Darkness doesn't come out until May, but the movie trailer gods have given us a gift Santa only wishes he could've delivered. What we get: Chris Pine's baby blues, some killer voiceover from Benedict Muthaf**king Cumberbatch (Sherlock), a roughed-up Spock (Zachary Quinto), and a nice shot of a CGI-altered Century City in L.A. being blown to smithereens.